Ballyvolane is a magical setting for a country house party. Why not catch up with a bunch of old friends for a few nights of fun, delicious food & drink in a glorious country house. Barefoot or ball gowns – make the party as relaxed or as formal as you like – as an exclusive private house rental, you’ll have the entire place to yourselves. Enjoy delicious food matched by an exceptional wine list around a huge antique polished mahogany dining table laid with old silver, candles and a log fire. During the day, sleep (breakfast till noon), cast a fly on the river Blackwater (in season) or on Ballyvolane’s own trout lakes (all year), stroll around the wooded demesne and through 15 acres of beautifully manicured gardens or visit an abundance of great shopping, sporting and heritage spots nearby. Before dinner, gather for cocktails by the fire. The food is straightforward country house in style, and the menus vary with seasonal, weather & fishing conditions. Our ingredients are mainly organic and much use is made of our walled garden during the growing season. After dinner, chat, play cards, board games or sing - we can arrange for a pianist to come and play (song sheets provided). We serve breakfast until noon every day too so you can enjoy a well deserved lie in. Located only 30 minutes drive north of Cork City and 3 hours drive from Dublin, Ballyvolane is highly accessible but still feels wonderfully remote. Cork airport is only 35 minutes away and has flights coming in daily from many parts of the UK and Europe. Ballyvolane House is a truly unique venue for your special event or memorable occasion, and offers terrific value for money. 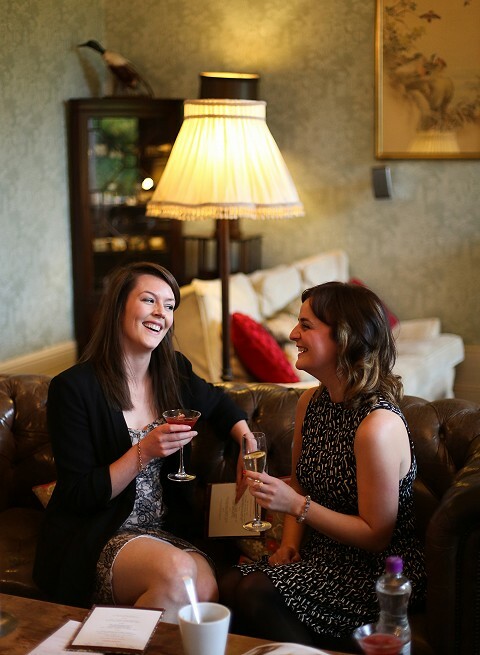 If you are interested in having a family reunion or are looking for somewhere to celebrate a special occassion such as landmark birthdays, homecomings, anniversaries, then a House party evening or weekend at Ballyvolane House is just the answer. Please phone us on 025 36349 or email us for a tailor-made quotation. We (Justin & Jenny Green) are experienced hoteliers, having gained international management experience in some of the best hotels in the world. Read more about us (& why you are in safe hands!) here. Includes exclusive private rental of the house and grounds. 6 bedrooms, sleeps 12 people. We have cots and extra beds if needed at no extra charge. The house is let on a bed and breakfast basis. All other meals and extras are charged for on a consumption basis. Please note we can accommodate additional guests in our glamping units during the summer months and our normal glamping rates would apply.